To transfer your domain name to another provider you will need to complete the following instructions which are different for UK and non-UK domains. Before starting you will need to ensure that you have obtained the Nominet TAG for your new provider. This will often be available from within the providers control panel or provided to you via email on request. Navigate to the domain within the Netistrar dashboard and click on the Transfers sub menu item on the left hand side. You should be presented with the following screen. Select the Transfer to another provider option from the picker on the top right. 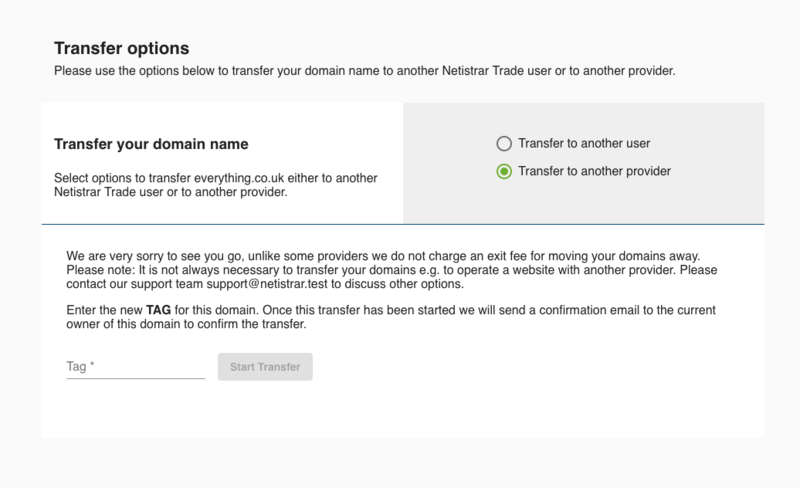 Enter the Nominet TAG obtained from your new supplier and click Start Transfer. As a security check we will send an email to the registered owner for the domain with links allowing them to accept / reject the transfer. Once they have confirmed this, the transfer will be completed immediately. Once the transfer has been completed you will be notified via email and the domain will cease to be available within your account. 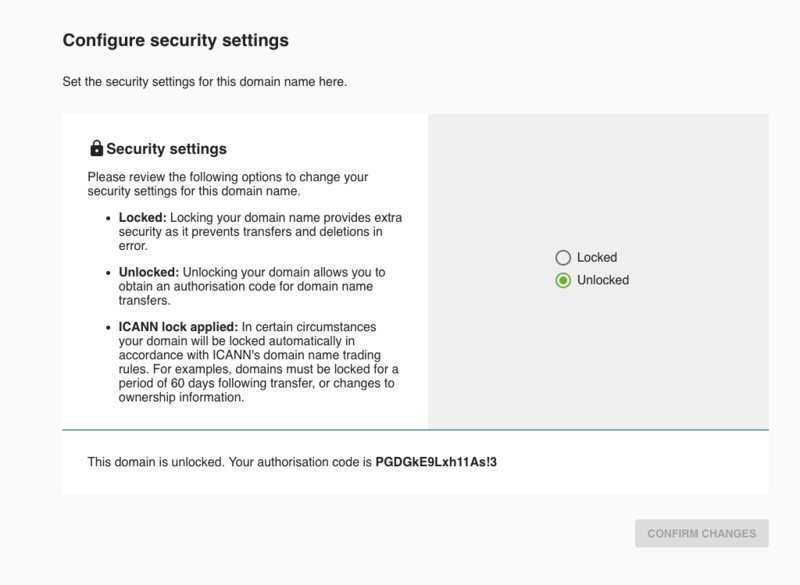 Navigate to the domain within the Netistrar dashboard and follow these instructions to unlock your domain name. Please Note: It may not always be possible to unlock your domain for transfer in accordance with ICANN rules. For example, domain names must be locked for 60 days following a transfer in to Netistrar or change of the registered owner. Log into your new providers control panel and follow their instructions for transferring a NON-UK domain into their system. You will be prompted for an Auth Code (sometimes called a domain password) as part of this process. Once the transfer has been started, as a security check we will send an email to the registered owner for the domain with links allowing them to accept / reject the transfer. If no response is received the transfer will complete after 5 days of being started.